I went into Dollar General today looking for a pitcher to make lemonade in and look at the goodies I found! These were too cute to pass up! 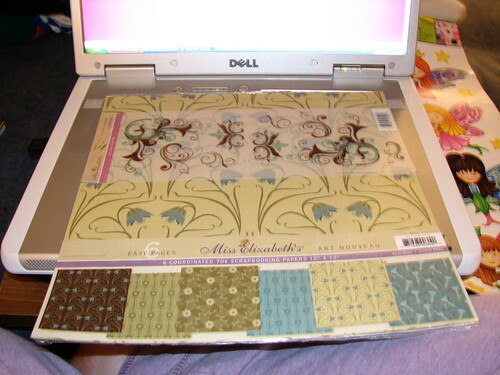 Pretty papers and vellum stickers. Look at these fantastic glasses! I'm so going back on payday to get a full set. Oh, and they had the cuuuuutest Peanuts dish sets with glasses. I'm going to get a set for the boys when I go back. Great finds! 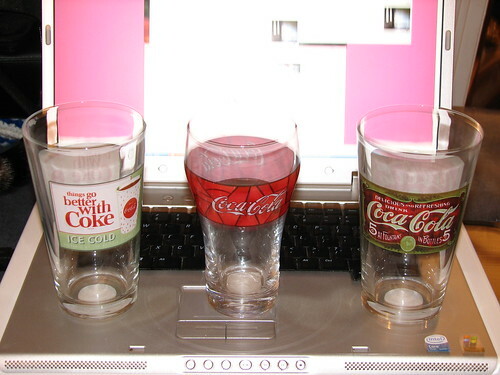 Especially the Coke glasses. There is a dollar store here with a 12 foot by five foot pegboard full of craft stuff. I love dollar stores. Your entered! I love the wall fairy art! Those would be so cute in my daughters room. I have banned the Dollar Stores since a couple of Christmases ago but I may have to go seeing as they got some great things! Great! Are you going to use these for scrapping servant's latest challenge? Wow! I love these finds! And I love your layout for your blog too - it's very cheerful! You posted a comment asking me how I got 3 collumns on my blog and I have a tiny confession - I don't know! I just hunted for a pre-made layout that already had 3 collumns formatted on it. The truth is, I'm a total blog-tard when it comes to doing cool stuff with the code and personalizing my blog. So I'm sorry I can't help! But I actually really like your blog exactly like it is. PS - Thanks for visiting Supermom Central! We're having a great giveaway tomorrow so stop by if you get a chance - maybe you'll win! 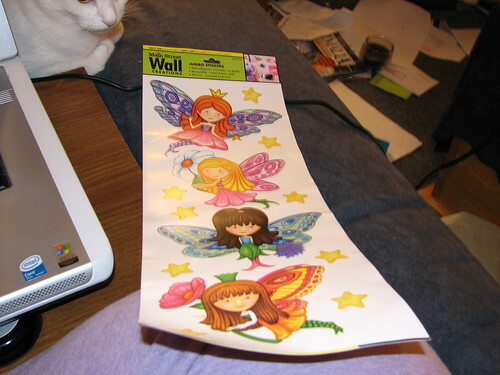 VERY cute papers and vellum stickers, I don't think I would have even passed those up and I don't usually shop for scrap stuff unless it's a specific need.